Repetition much? EAT THAT FROG is a super-quick read, coming in at just over one-hundred pages, comprised of twenty-one chapters. It felt more like ten chapters of mostly the same thing. Let me summarize the book for you: write your goals down and focus on the most important thing first. Add a few quotes to open each chapter, carry out the swallow the frog analogy ad nauseam, reword the chapters that mean the same thing, and you get the gist. What really irked me about this book is the lack of attribution. Not even the main frog eating concept was directly quoted. For those curious, Mark Twain said, “If you know you have to swallow a frog, swallow it first thing in the morning. 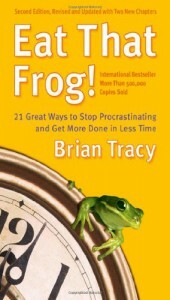 If there are two frogs, swallow the big one first.” Author Brian Tracy casually mentions Twain, but doesn’t type it out. He continues to offer insight as his own, but repeatedly fails to make mention of his predecessors. Mihaly Csikszentmihalyi and Stephen R. Covey should probably have words with Tracy for directly referencing their material without any sort of reference. Don’t get me wrong, there are some great ideas here, but this is not Tracy’s best effort. Reading DON’T SWEAT THE SMALL STUFF FOR BUSINESS was more assuring and satisfying than this. Reading Covey’s SEVEN HABITS or Csikszentmihalyi’s FLOW is even better. For some even more in-depth reading, Princeton’s psychologist Daniel Khaneman’s THINKING, FAST AND SLOW is the anti-thesis to what EAT THAT FROG offers. If you are looking for a quick self-help snack, then EAT THAT FROG may help. 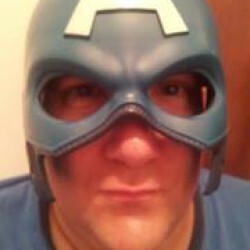 Otherwise, skip the frog and go for the steak of my other recommendations.